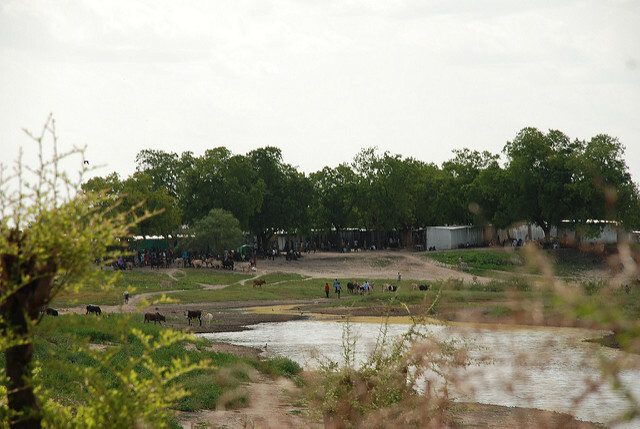 Pibor Village. Photo courtesy of Judy McCallum via Flickr Commons. 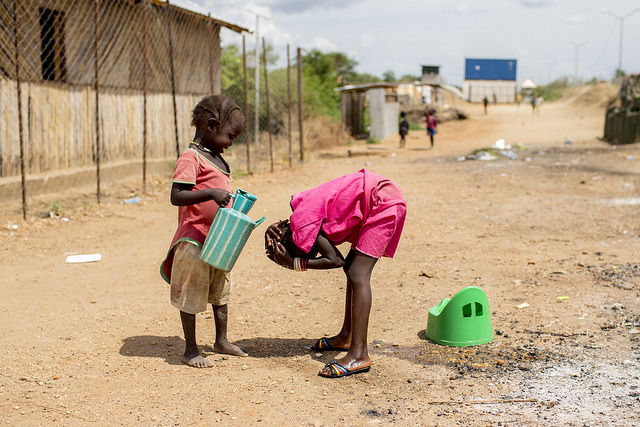 Many different ethnic groups inhabit the Ethiopia-South Sudan border region, including the Anyuaa, Nuer, Kommo, Oppo, and Murle, belonging to the Nilotic and para-Nilotic groups of people. 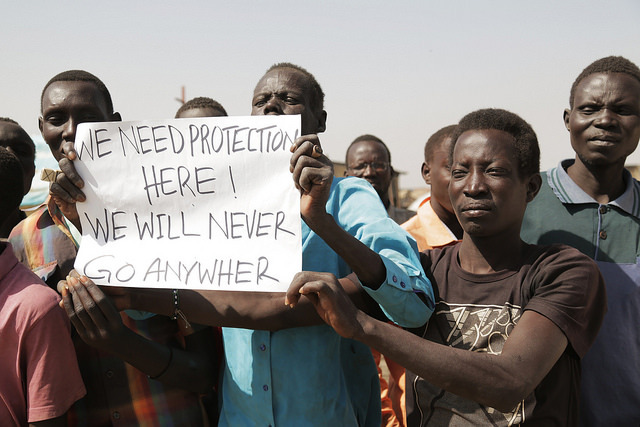 Besides these, other ethnic groups from different parts of Ethiopia and South Sudan also live along the border. The three largest ethnic groups in the borderland region—the Nuer, Anyuaa, and Murle—are ethnically polarized. These groups have built systemic ethnic cleavages and ethnic boundaries that define their interactions with each other, including conflict over the already limited resources in the region. Ethnicity is a salient identity used to establish boundaries between certain ethnic groups, and it creates the basis for some of their conflict. 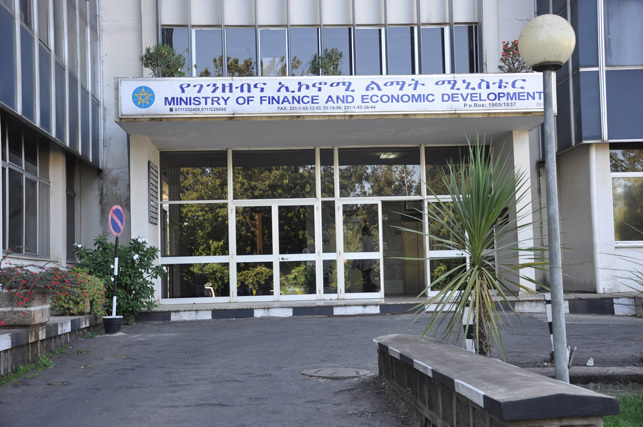 Ministry of Finance and Economic Development of Ethiopia. Photo courtesy of the Ministry of Finance and Economic Development of Ethiopia via Facebook. The 2015 Addis Ababa Action Agenda on Financing for Development emphasized that the “mobilization and effective use of domestic resources are central to our common pursuit of sustainable development.” Enhancing domestic resource mobilization in Africa is critical for state-building and government accountability. It is widely accepted that external sources like aid will be insufficient to meet the Millennium Development Goals and sustain progress beyond the 2015 target date. Moreover, the success stories of East Asia and more recently China and India show the value of a growth path underpinned by high levels of domestic savings and investment. Increased DRM makes huge sense in the current global economic context. Donor countries’ aid budgets are an easy target when, as now, austerity is a priority, and experience has shown that aid levels often do not return to pre-crisis levels. As well, many donor countries feel an increasing sense of aid fatigue. Therefore, enhancing domestic resource mobilization in Africa is not just necessary, but desirable. World Bank Group President Jim Yong Kim (far right) talks with Minister of Finance, Planning & Economic Development, Hon. 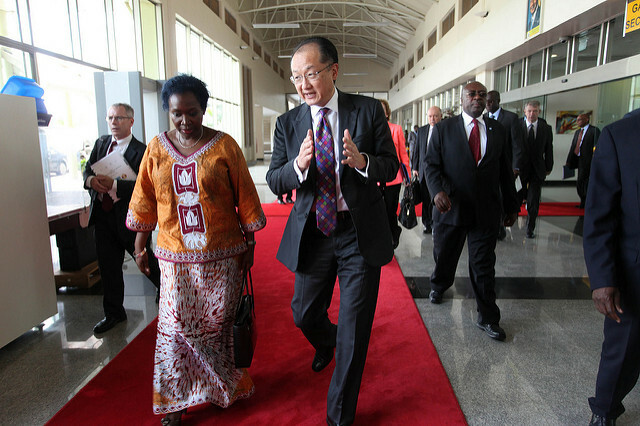 Maria Kiwanuka in Kampala, Uganda. 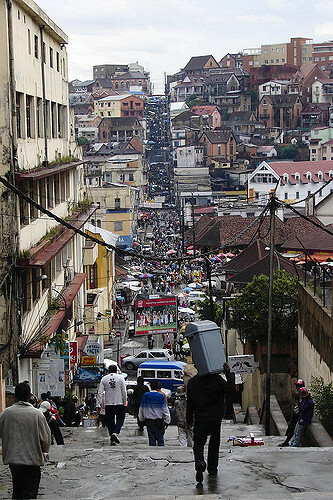 Photo courtesy of World Bank Photo Collective via Flickr Commons. 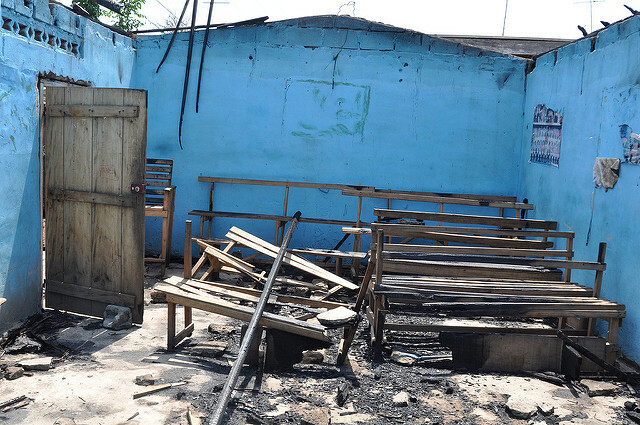 A building damaged by the 2010-2011 conflict in Cote d’Ivoire. Photo by Michael Fleshman, via Flickr. Creative Commons. This policy brief summarizes some of the results of a study based on empirical data carried out in Côte d’Ivoire, Sierra Leone, and Liberia with financial support from the International Development Research Centre (IDRC). 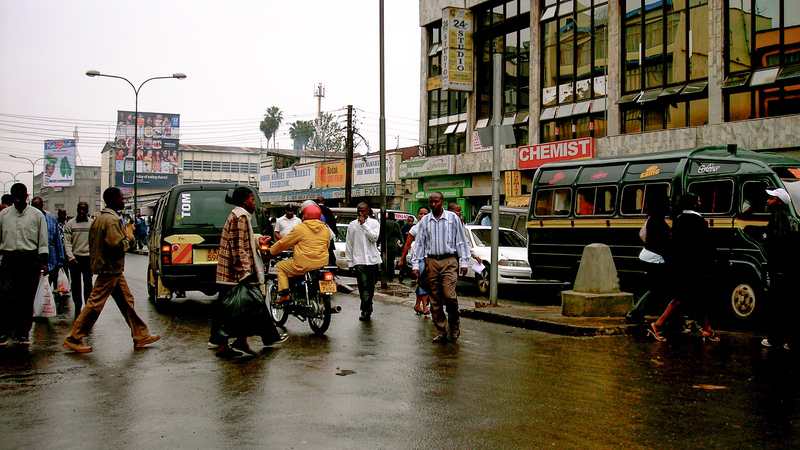 Downtown Nairobi. Photo by ND Strupler, via Flickr. Creative Commons. There is an emerging trend of female violent extremism in Kenya, embodied by three women who botched an attack on the Mombasa police station on September 15, 2016. To say the least, the attack was publicly shocking, as Kenya has never witnessed anything like it before, in terms of women’s direct involvement in terrorism. This incident points to a worrying trend of female violent extremism, but scholarly inquiry is required to fully make out what it means. 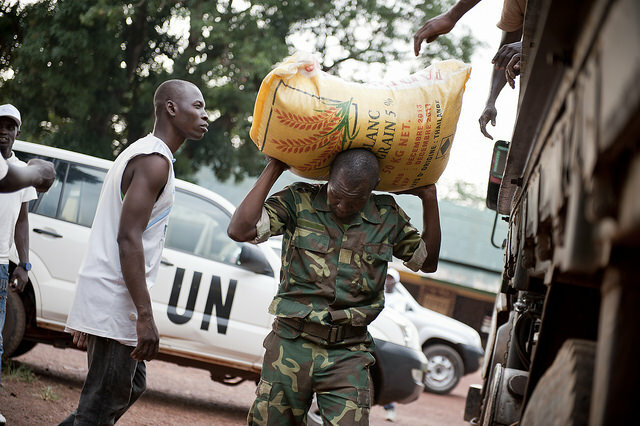 A MINUSCA soldier distributes food aid in Bangui. Photo by UN Photo/Catianne Tijerina, via Flickr. Creative Commons. In February, Faustin-Archange Touadéra was elected president of the Central African Republic (CAR), ending a three-year-long transition in the country. This has given CAR a new opportunity to achieve and sustain peace by addressing the complex array of political, economic, and social causes of the conflict. International organizations have been active in supporting CAR’s transition in recent years, but with limited results. One of these organizations, the African Union (AU), is now evaluating ways to be more effective. In particular, the AU is looking for better ways to address the long-term drivers of conflicts – in CAR, but also elsewhere – through its post-conflict reconstruction and development (PCRD) framework. Photo copyright of Gustavo de Carvalho/ISS. This quote from Mia Couto’s famous 2000 book, The Last Flight of the Flamingo, remains a pertinent reminder of the many challenges faced by Mozambique’s peacebuilding process. 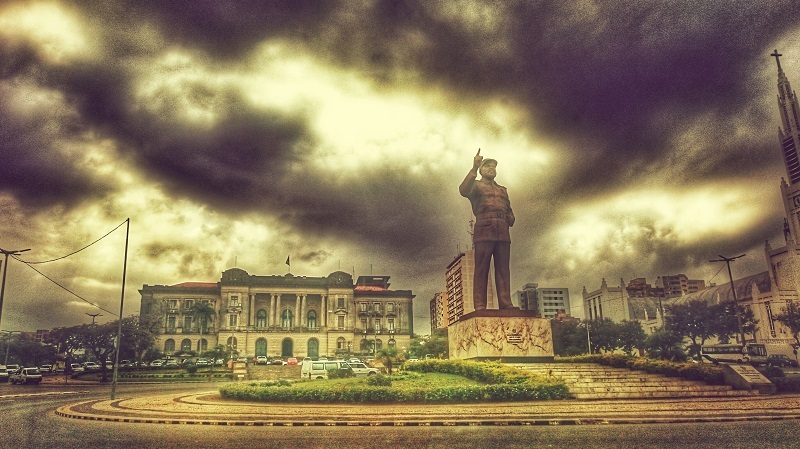 Following the end of Mozambique’s civil war over two decades ago, the country has come to be seen as a model of successful peacebuilding. Years of high economic growth and relatively peaceful elections seemed to indicate that the country had achieved sustainable peace.